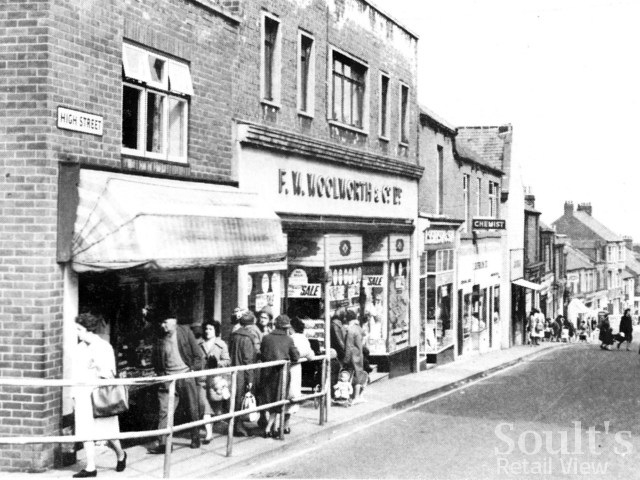 This is my 200th blog post since starting Soult’s Retail View back in July 2009, so it seems only appropriate for it to bring together two of my favourite topics – Woolworths and Tyneside! 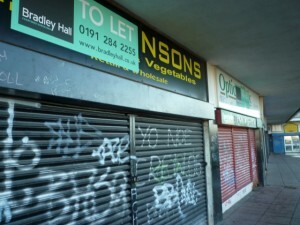 Regular readers will recall that I’ve written about all 33 of the North East Woolworths stores that closed following the chain’s 2008 collapse, but I’ve also tracked down many of those sites that Woolies had already vacated in the years before. 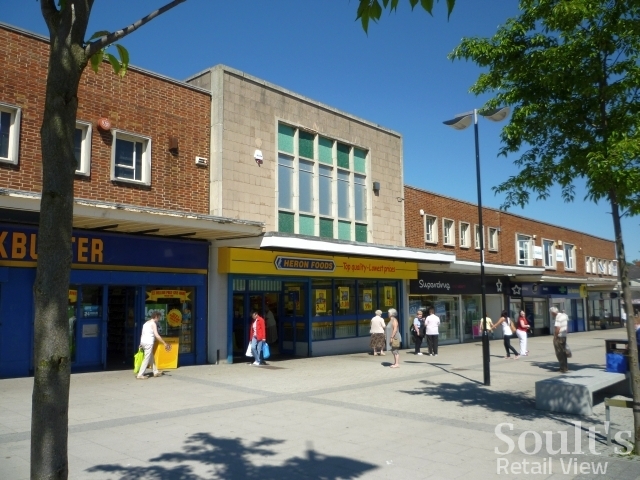 Among these are the ex-Woolworths in Crook (#529, closed in about 1972) and Seaham (#649, closed in the mid-1980s), both in County Durham, as well as the Wearside branches at New Washington (#1014, closed in 1984) and Sunderland (#144, closed 2004). 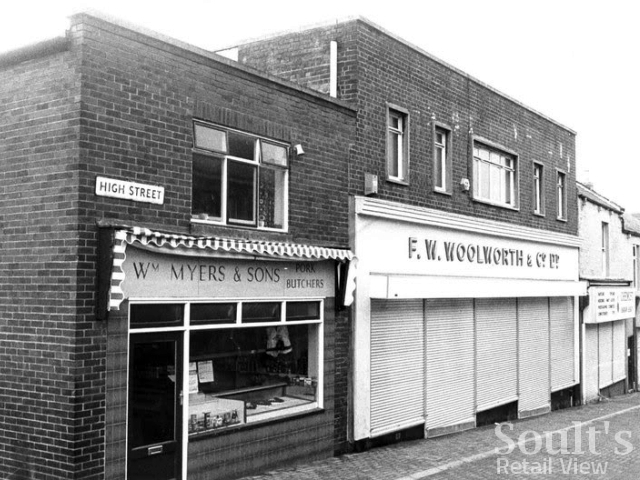 Within the Newcastle city boundaries, I’ve also covered the original Byker Woolworths (#276, closed on 1 June 1985), which occupied two different sites in Shields Road during its lifetime, and the Benwell store in Adelaide Terrace (#905), converted from a former cinema. For today’s post, I want to look at two more long-gone Woolies stores on Tyneside – one in the Gateshead suburb of Felling (store #949), and the other in the Arndale Centre on Newcastle’s North Kenton estate (#1026). 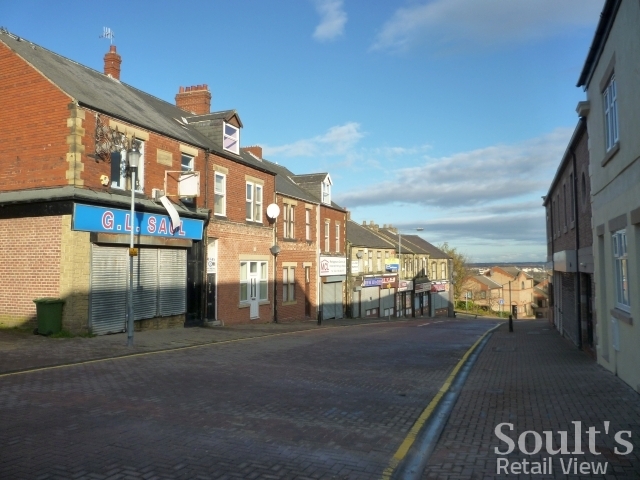 Just a couple of miles from the centre of Gateshead, and only a handful of Metro stops from Newcastle, Felling’s High Street has suffered a slow decline in recent years. 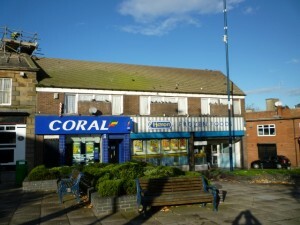 At the end of 2008, an article in the local paper highlighted the extent of the problem, famously revealing that the High Street had just “three shops” left – technically true, but slightly overplaying the level of vacancy by seemingly not counting those premises occupied by takeaways, betting shops or other ‘non-retail’ uses. While some big names – including Woolworths, and a branch of the Gateshead department store institution, Shephards – disappeared from Felling years ago, there’s no doubt that the collapse of Kwik Save, in 2007, was a major recent blow. Located towards the bottom of the hill, its closure has meant that there’s no longer much reason to venture down the High Street – past other (former) shops – from the main shopping precinct at Felling Square. 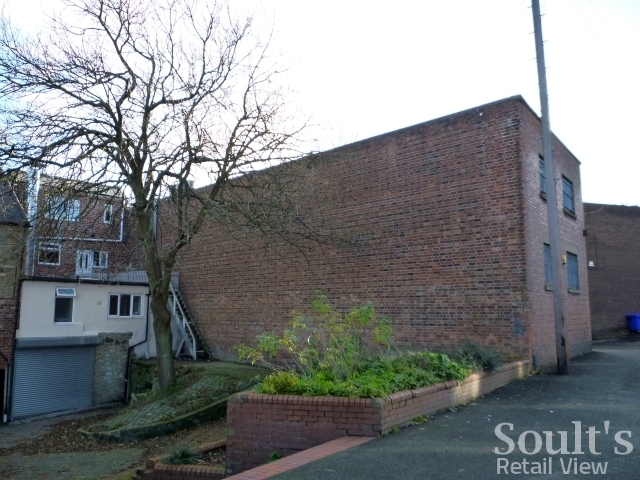 It would be wrong, however, to frame Felling as a completely failed retail location. 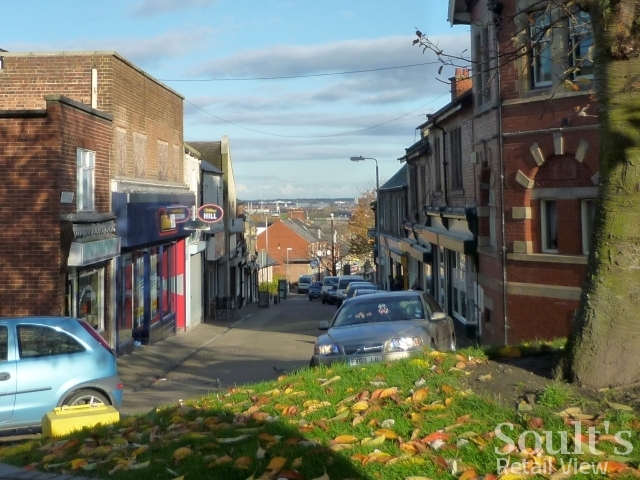 Just beyond the High Street itself, the Felling Square area has been reasonably busy both times that I’ve visited, no doubt assisted by its proximity to local bus routes. 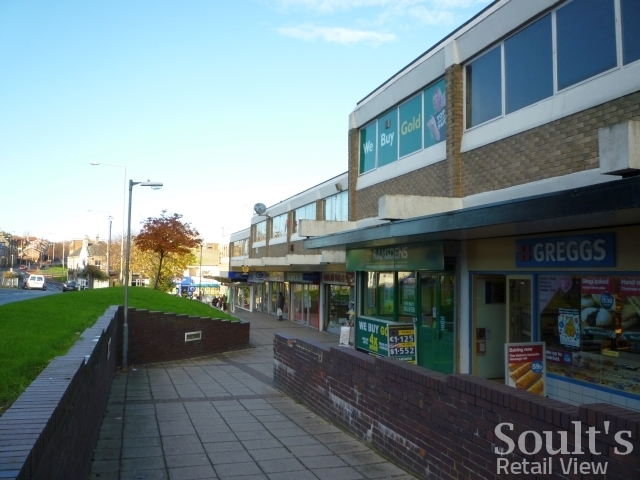 The presence of some decent chains – including The Co-operative Food, Boots, Heron Foods and Greggs – a post office, newsagents and complementary indie stores ensures that Felling’s retail centre continues to have a role in meeting the area’s everyday shopping needs. So what of the old Woolies? It was located at 98-104 High Street, in a building whose current occupant – William Hill, the bookmakers – is perhaps illustrative of the way in which the street’s fortunes have declined. 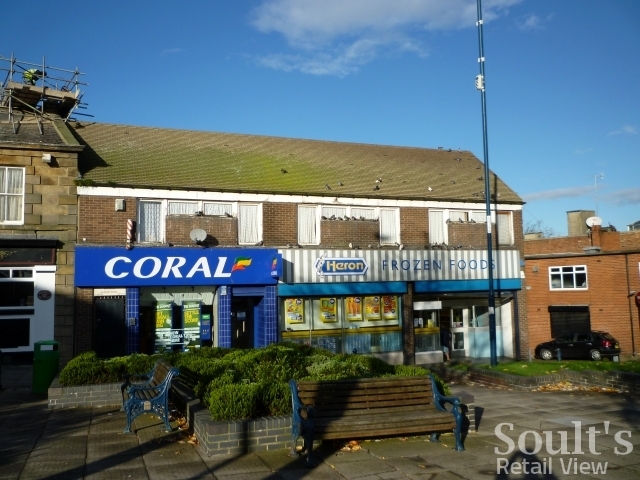 Someone suggested to me, via Twitter, that Woolworths had previously occupied the site of today’s Heron Foods in nearby Felling Square – presumably in an earlier building – but I’m yet to find any other evidence to confirm this. Indeed, with the Woolies store number pointing to an opening in 1956, there’s every reason to think that it always occupied the same purpose-built premises: a bland, redbrick, flat-roofed property that is rather typical of the stores that Woolworths was constructing in the 1950s and 60s. After its stellar growth before the Second World War, the 1950s represented something of a second wind for Woolworths. By 1953, its store count was already up to more than 800, and the rapid expansion at that time – with store #1000 opened just five years later, in May 1958 – meant that the chain was, frankly, rather scratching around for viable locations in which it wasn’t already represented. It’s no coincidence that many of the stores opened at this time were among the first ones to be closed again once Woolies began downsizing in the ’70s and ’80s. A busy shot from April 1966, above – taken from a 1990 publication called Gateshead in Focus – shows Felling’s Woolworths in what was probably its prime. Indeed, barely two decades later, Felling’s Woolworths was one of the casualties of the aforementioned ’70s and ’80s downsizing, closing its doors for good on 21 January 1989. An interesting photograph on the iSee Gateshead site from 1986 shows the store’s ‘F W Woolworth & Co. Ltd’ lettering still in situ, which is an usually late survival – by this time, most stores had long ago adopted the 1970s red and white ‘Woolworth’ fascia, as recently seen at the back of the Burton-upon-Trent store. Perhaps the store’s closure was already on the cards at this time, and accounted for the lack of investment in new signage. 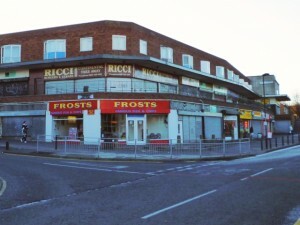 The old-style fascia – seemingly identical to the one that existed in the 1966 view – can also be seen in the 1985 shot below. Though never a particularly attractive building, the Felling Woolies was certainly more appealing before its first-floor windows were blocked up. In my photo at the top of the page, the original position of two narrow windows either side of a central wider one is apparent from the colouring of the infill brickwork. 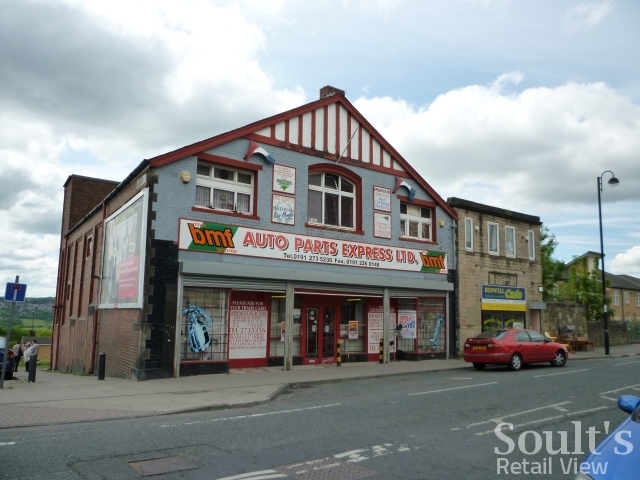 For whatever reason, four new (and less symmetrical) windows were at some point inserted in place of the originals; these, in turn, were also boarded up, giving the property as it appears today a derelict-looking upper floor above an uncongruously shiny and modern shopfront. Viewed from the back, above, the property is similarly unattractive. 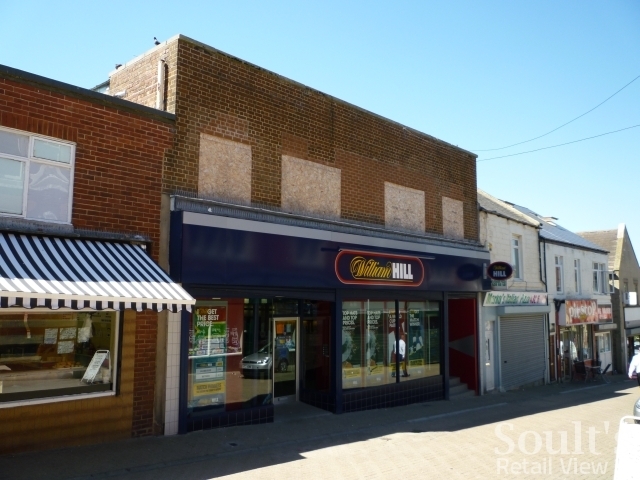 Interestingly, however, it is much bigger than it looks from the High Street – a feature typical of many former Woolworths stores – and it’s hard to imagine that today’s William Hill branch makes use of all the available space. 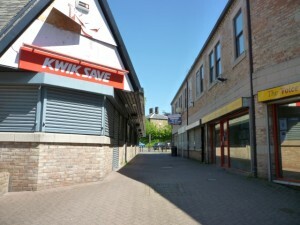 On the opposite side of the Tyne, there are many parallels between the ex-Woolies at Felling and the one at North Kenton, but less documentary evidence about its existence. Situated at the corner of Halewood Avenue and Kirkwood Drive, the Arndale Shopping Centre was built along with the neighbouring North Kenton housing estate in the 1950s, and the Woolworths store at 39 Halewood Avenue – opened in about 1959 – is likely to have been there from the start. 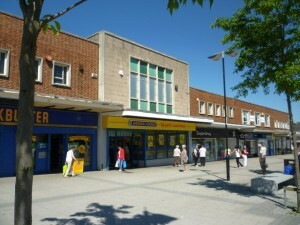 As Britain built its postwar housing estates, it was quite common for Woolworths to be the anchor store on those developments’ shopping precincts. 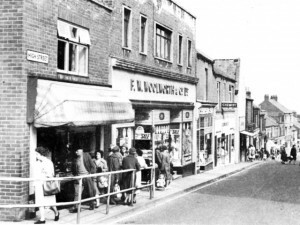 In the North East alone, for example, new Woolies stores opened at the Pennywell estate in Sunderland in 1953, and at Longbenton, North Tyneside, in 1959 – both of which will be covered in future posts. 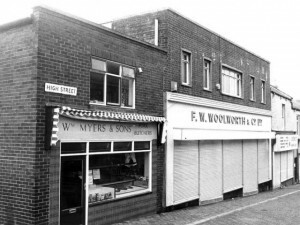 Often – as in New Washington – Woolworths seems to have occupied premises that stood out architecturally from the rest of the parade, and that was also case in North Kenton. 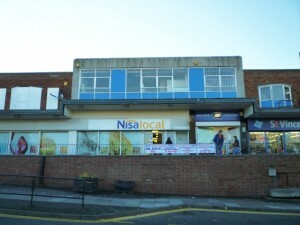 Though I’ve seen no photographs of the building in use as Woolworths, the store’s address (and confirmation from someone who grew up in North Kenton) indicates that Woolies occupied the prominent, projecting unit that now houses Nisa and Boots. It was apparently still there in 1966, and features on Woolworths’ 1972 stores list, but must have departed at some point in the 1970s or 80s. 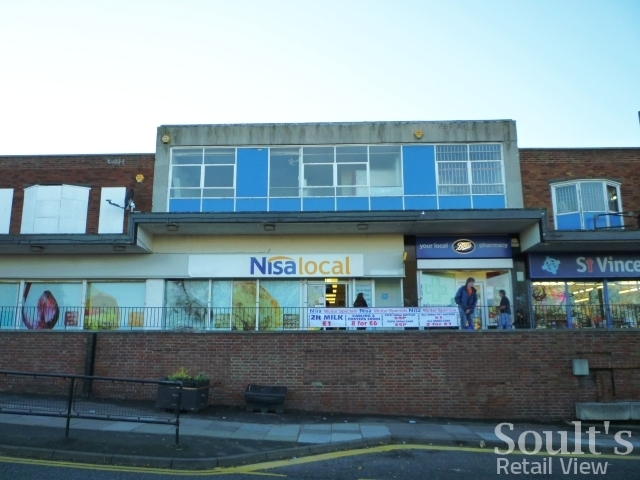 As in Felling, there’s no doubt that the North Kenton shopping centre continues to perform a valuable function for the community that it serves. Again as in Felling, however, the large number of empty units creates a depressing and slightly unsettling feel, and a sense of a shopping centre that is simply bigger than it needs to be. 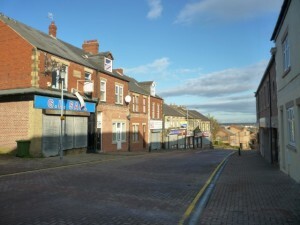 This lack of fitness for modern purpose is the reason, indeed, why so many similar postwar suburban shopping precincts – including those in Pennywell and Longbenton – have subsequently been demolished and replaced by new, more compact retail centres that are better able to accommodate their communities’ current, everyday needs. In hindsight, Woolworths’ departure from such locations, all those years ago, feels like an inevitable part of that suburban retail evolution.